Here's a fun little project I made for the 2nd anniversary celebration going on over at the Paper Bakery blog. 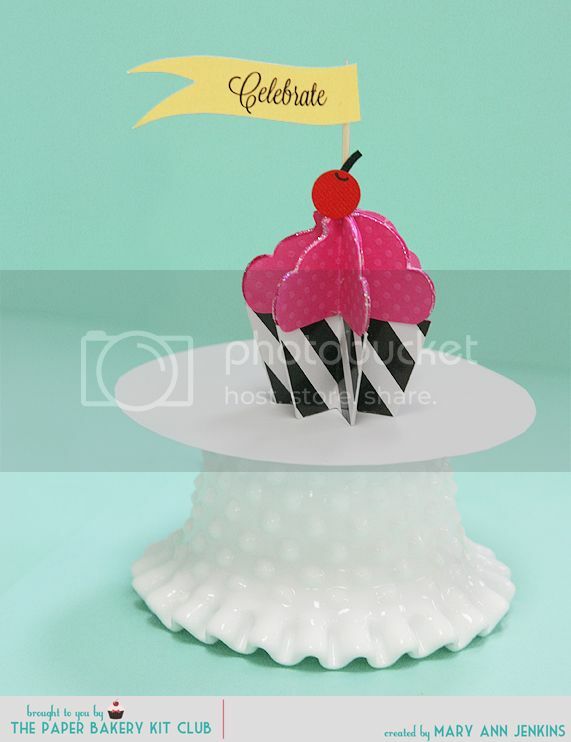 Wouldn’t these mini 3-D cupcakes be oh.so.cute at each place setting for your next party!! 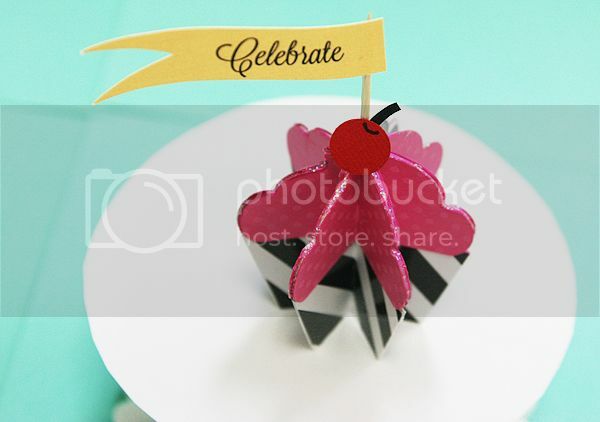 I used my Silhouette Cameo to cut the cupcake pieces, then added a hand cut cherry and a fun little flag. To give it a some sparkle, a touch of glitter added to the edges really makes it shine!! Oooh, this is so cute! I love the colors you choose. Nice party feeling, especially with the flag! This is so cute Mary Ann!! And I love how you set it up for your photograph! so cute! How adorable. :) I love it.